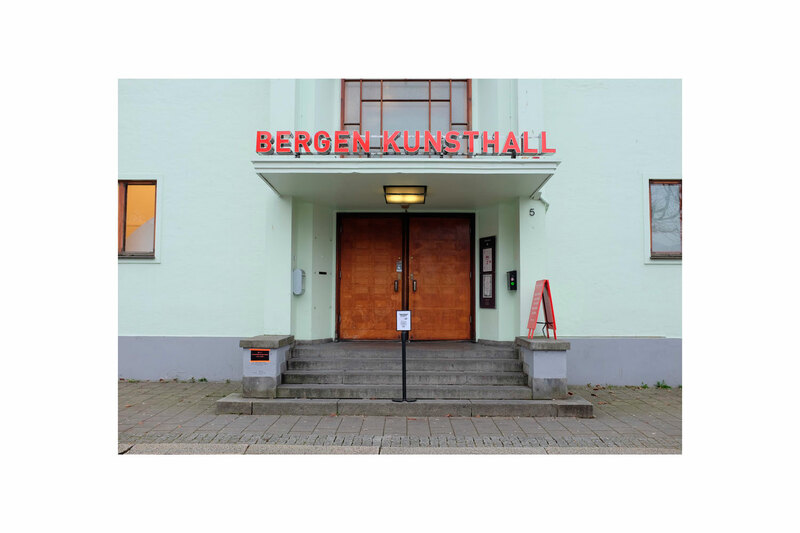 “This project takes shape in the building of the Bergen Kunsthall, a public arts institution that was built in 1935 in the city of Bergen, on the west coast of Norway. 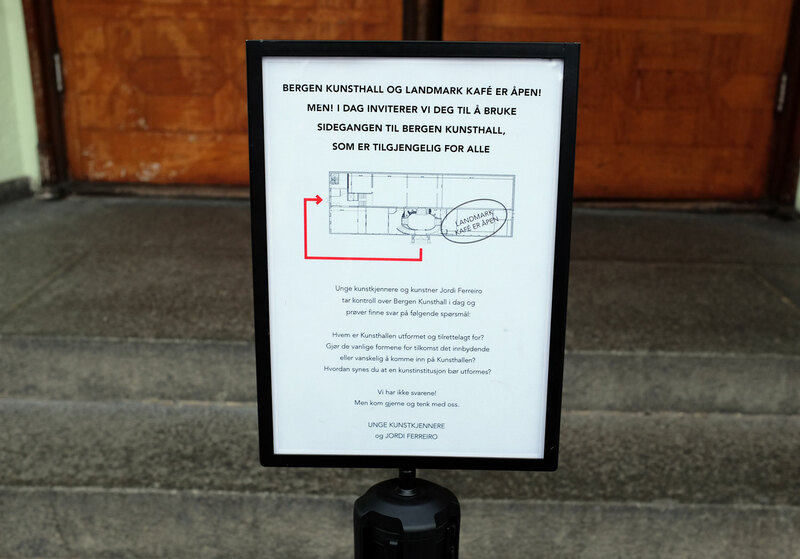 Because the building is considered of important architectural heritage, the Kunsthall has not been able to make physical improvements to the main entrance to ensure an accessible access to people with movement difficulties. Under this premise and as part of the Kunsthall’s programme of live commissions ‘Who’s doing the washing up?’, Jordi Ferreiro, members of “Unge Kunstkjennere” – the Kunsthall’s youth group – and the inhabitants of the institution, proposed an ‘acupuncture’ process to the body of the Bergen Kunsthall building. A series of architectural actions that led the building, visitors and inhabitants to question: Who is the institution for? Who can have access to culture? And above all, in our programmes of inclusivity and hospitality, who is still excluded? These modifications in the building led to closing the main door of the Kunsthall for one day, inviting visitors to use only the accessible ramp entrance on the side of the building, altering the exhibition spaces and constructing structures and ramps to rethink how, and for whom, the access routes throughout the building are constructed. As a conclusion to the project, a publication was published that includes the process and some of the experiences of the participants. 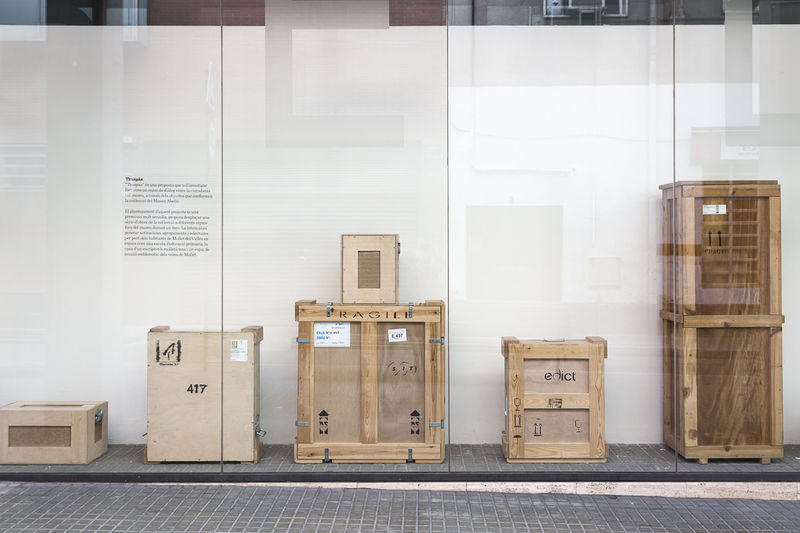 “Traspàs” is a proposal aimed at exploring the idea of art as a space for dialogue between the public and the museum through the use of objects that make up the collection of painter Joan Abelló. 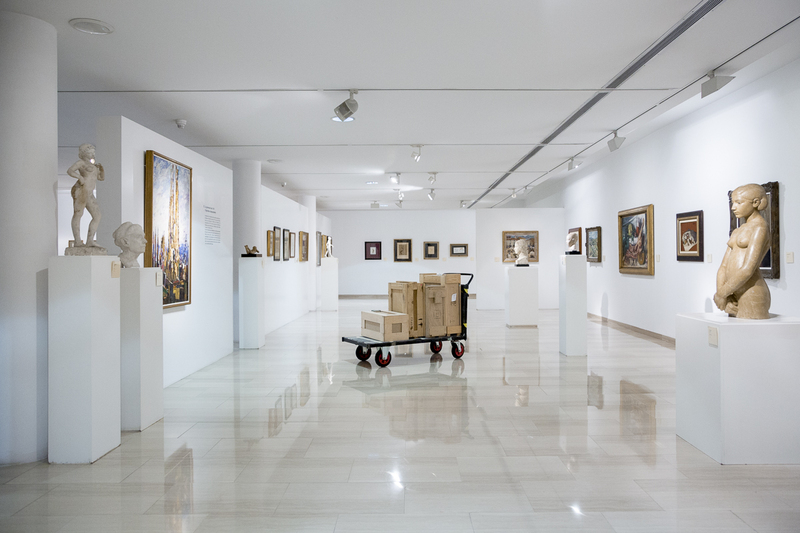 The concept behind this project is very simple: to transfer three pieces of art from the collection to three different areas outside the museum for a month. The intention is to encourage the inhabitants of Mollet del Vallès to engage in activations, approaches and reinterpretations in local spaces such as a primary school; the home of a local poet; and a traditional meeting place of residents. 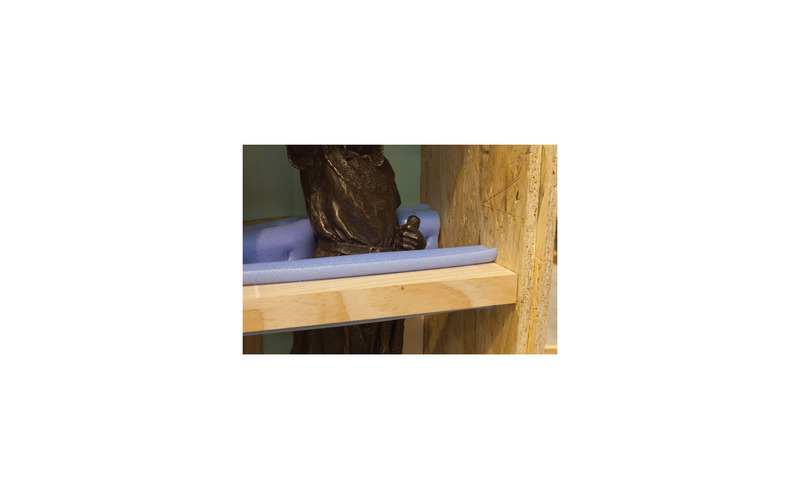 If we understand a museum’s collection to be a set of artworks that create and define the identity of the museum, then the act of moving three of its pieces outside represents a break with this way of understanding and consuming art, as well as an attempt to redefine the exhibition institution and our concept of heritage. 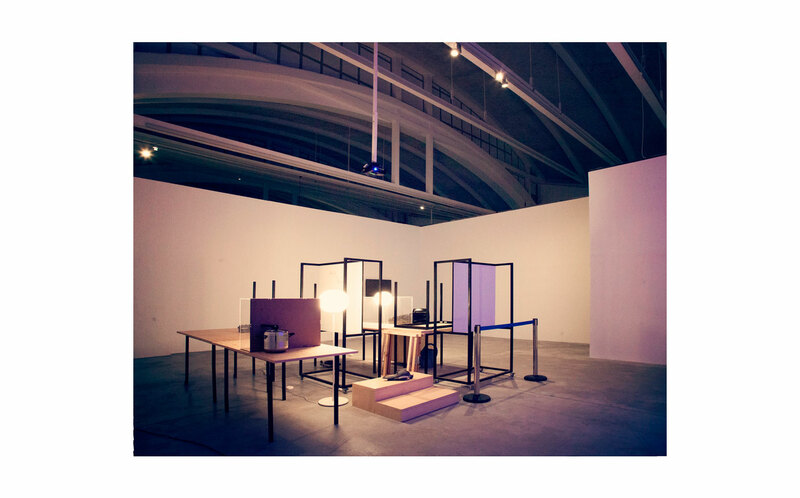 So “Traspàs” can be seen as both an artistic project and a site-specific meditation exploring the hybrid exhibition space that is the showcase. A space that is both a museum and a public space, where art is exhibited as another element of day-to-day life. This project stemmed from an invitation by the Museo del Oro de Bogotá (Bogota Gold Museum) in Colombia to intervene in its collection of Pre-Columbian art. 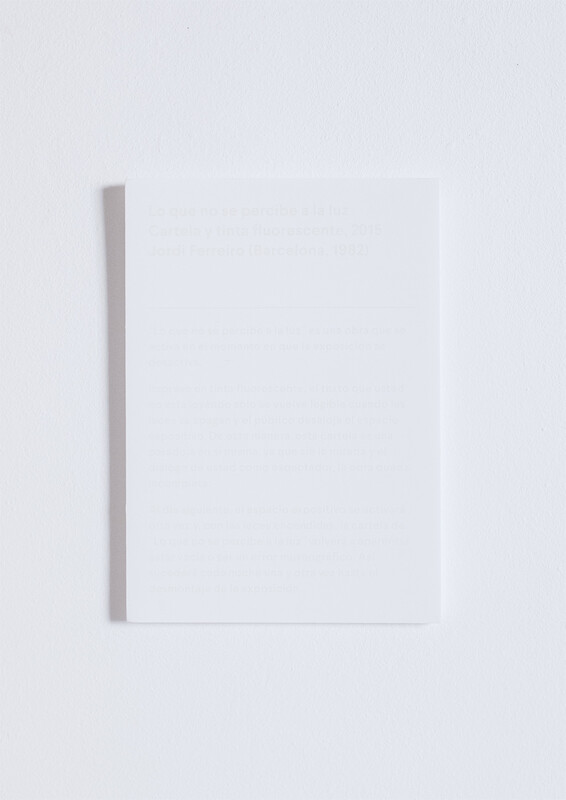 As a Spanish artist, conscious of the colonial issues implicated in this commission, I decided to focus the project on the Colombian heritage plundered by Spain. The treasure of Quimbaya is a collection containing 122 pieces of gold that was purchased by the Colombian government from a guaquero (a looter of indigenous graves) to be exhibited in Madrid in 1892. It was assumed that these pieces would be returned to Colombia once the fourth-centenary celebrations of the discovery of the Americas had ended. But President Holguín decided to give them to the Queen Regent María Cristina de Habsburgo to thank her for her “absolute generosity” in helping resolve a border dispute between Colombia and Venezuela. In 2006, the European Union dictated that the treasure of Quimbaya is a cultural heritage that must be returned to Colombia. However, the Spanish government refuses to do so, saying that the treasure is a “piece of Spanish history which belongs to all Spanish people.” The treasure can currently be found in the Museo de América (America Museum) in Madrid. 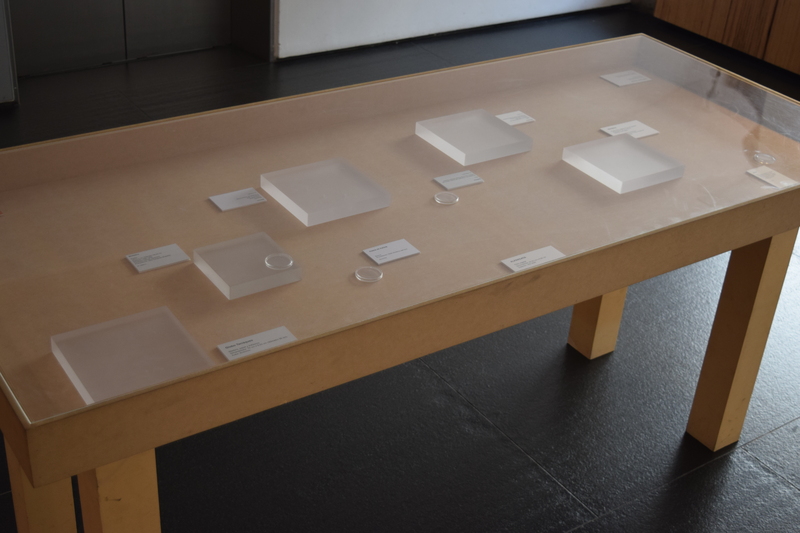 The Absolute Generosity project took the form of a display case in the Museo del Oro, containing 11 posters stolen from the Museo de América, and 11 empty spaces symbolizing the native Colombian cultural heritage that has been expropriated and retained by the Spanish government. 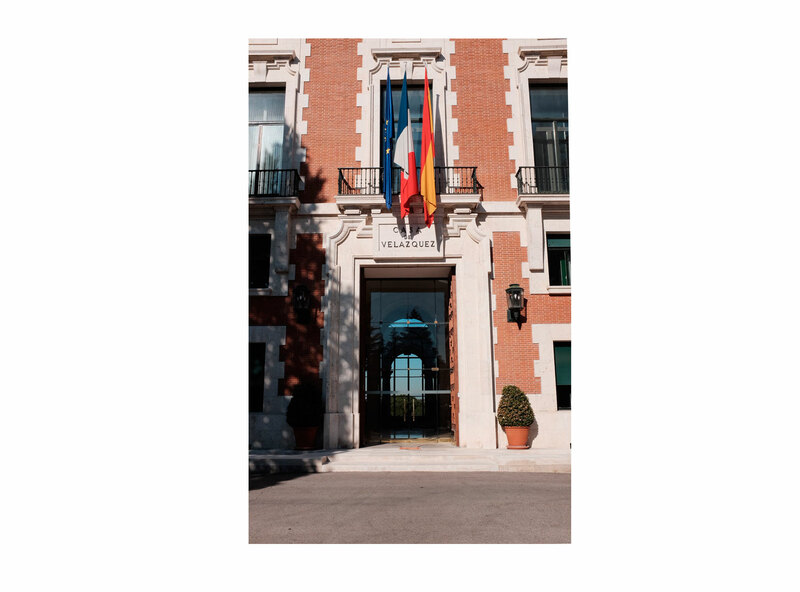 On the doors-open day at the artists residence known as “Casa de Velazquez” I placed the keys to the door of my private accommodation beneath the doormat as a way of generating tension between what is permitted and what is forbidden in such a strict institution. My work process was exhibited in my private room during the period of the residency, giving the public an opportunity to access private areas of the building and get to know my work in an intimate, personal space. 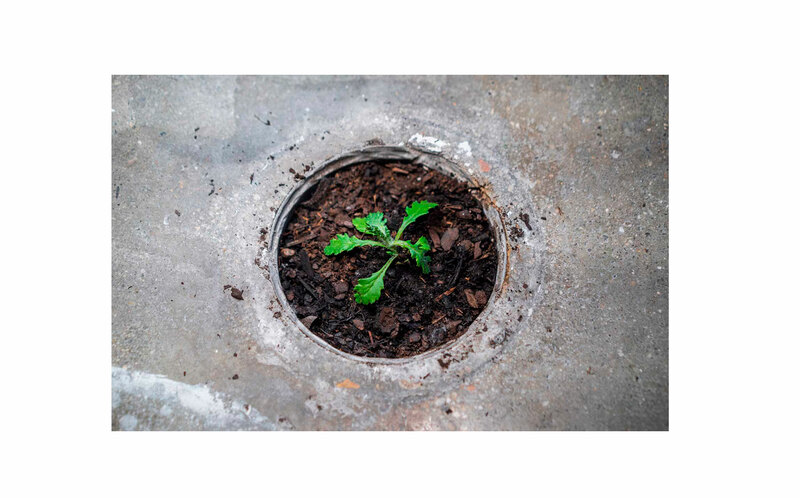 A dandelion shoot parasitizes an electrical floor socket in the exhibition space and grows there artificially for the duration of the exhibition. Tending to this plant sets a precedent in the institution: permitting the use of the electrical system as a flower bed and providing a category of care which the exhibition fitters and gallery staff are not accustomed to providing. 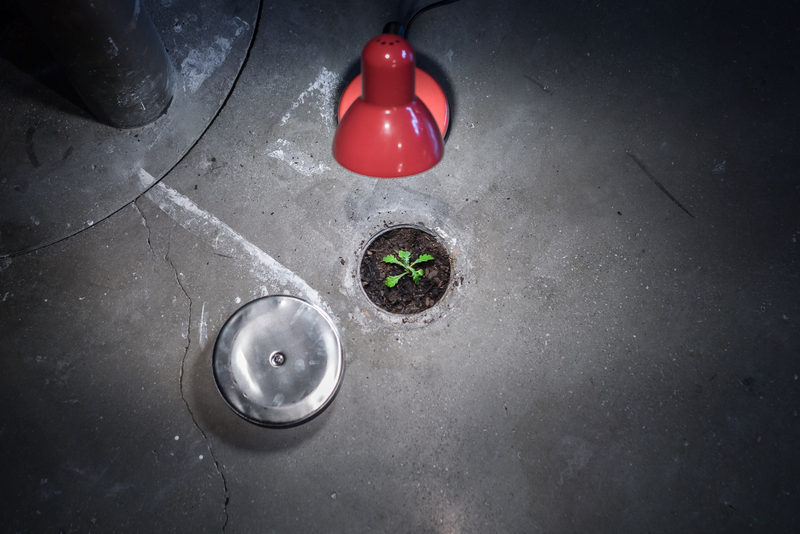 The growth of this plant in the exhibition area involves an adjustment in the customary dynamic of the artistic institution – not only for staff, but also for visitors finding themselves before a work which has a different temporality and which changes each time they visit. 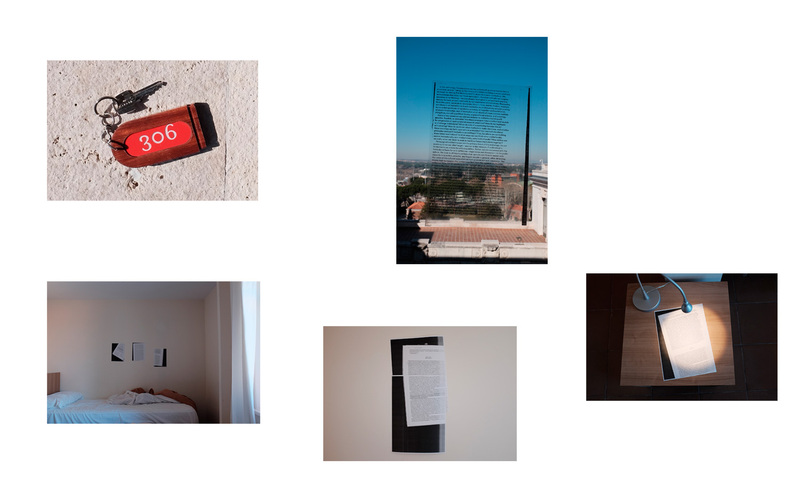 The title of the work is inspired by an essay by Janna Graham about new institutionality and the idea of the “Institutional Para-site”. 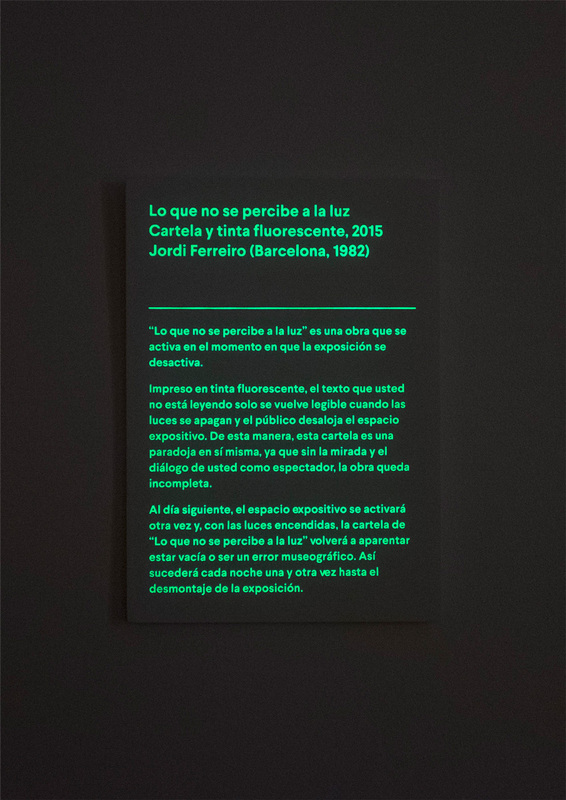 Lo que no se percibe a la luz (What is not perceived in the light) is a label, seemingly with nothing written on it, located in a part of the exhibition space where it does not obviously refer to any artwork. It appears to be a museum error. 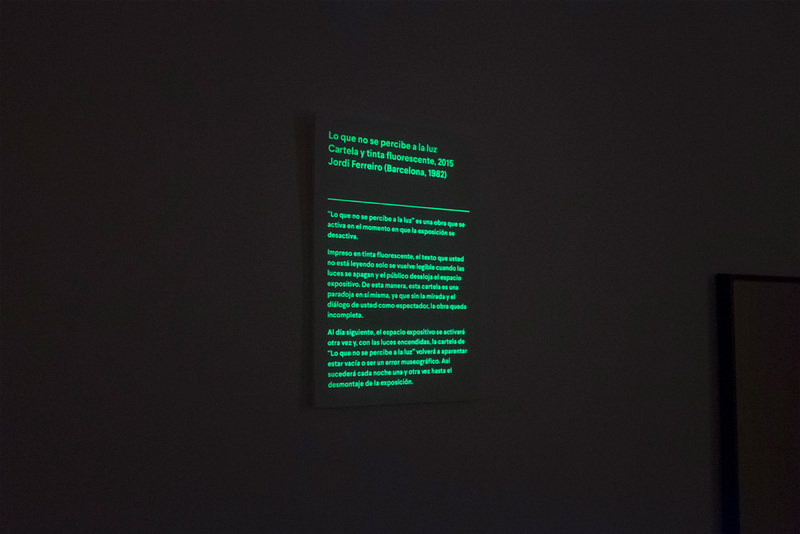 But when the lights of the exhibition room go out, the public leaves, and the exhibition space is no longer active, the text – printed in fluorescent ink – becomes legible. 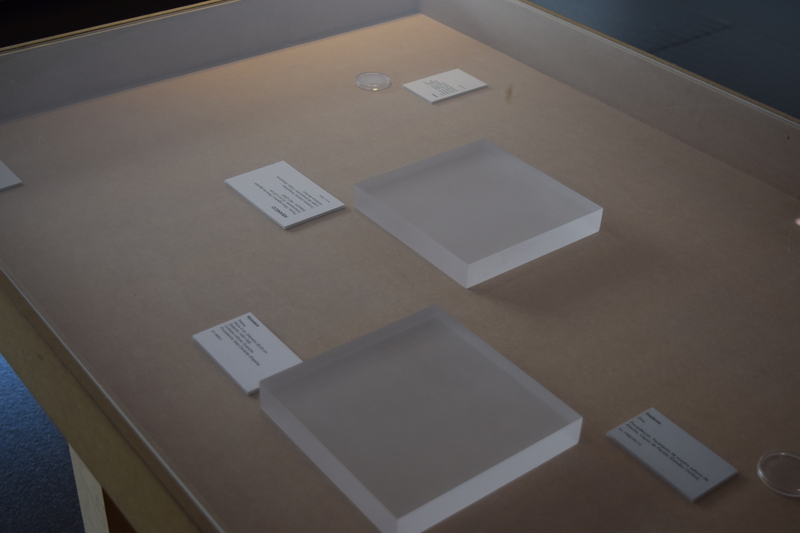 The next day, when the museum reopens to the public, the label text is invisible once more. 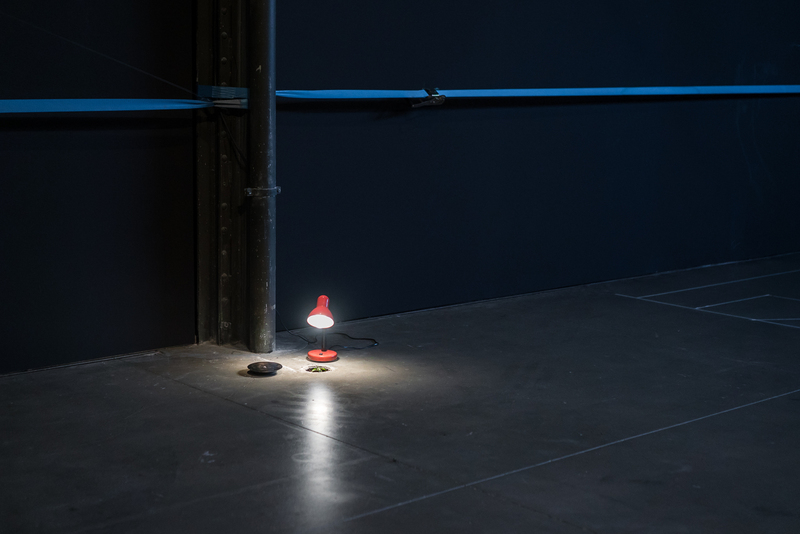 Lo que no se percibe a la luz plays with the multiple contradictions of the exhibition space (light and dark; full and empty; information and misinformation; intention and error) by way of a generic contradiction: the work fulfils its function when the public is not present. 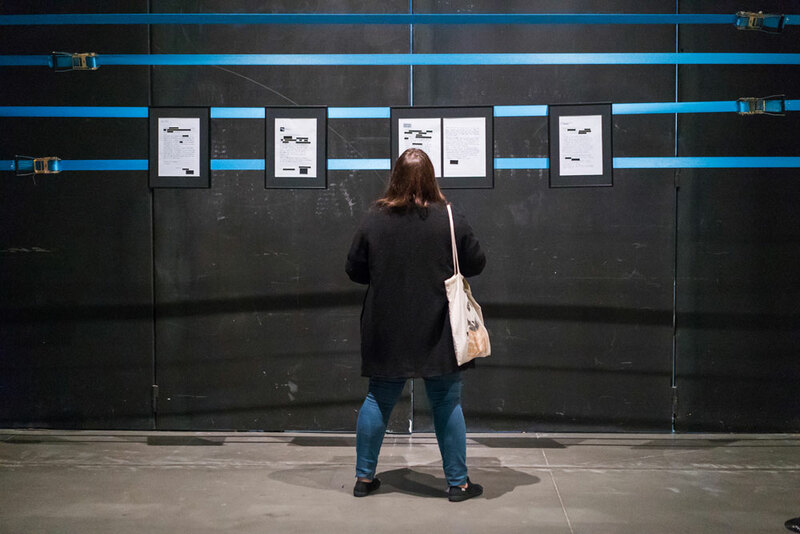 Las quejas (The Complaints) is an on-going project to collect and compile complaints received by educators from a variety of museums, regarding their work mediating audiences. 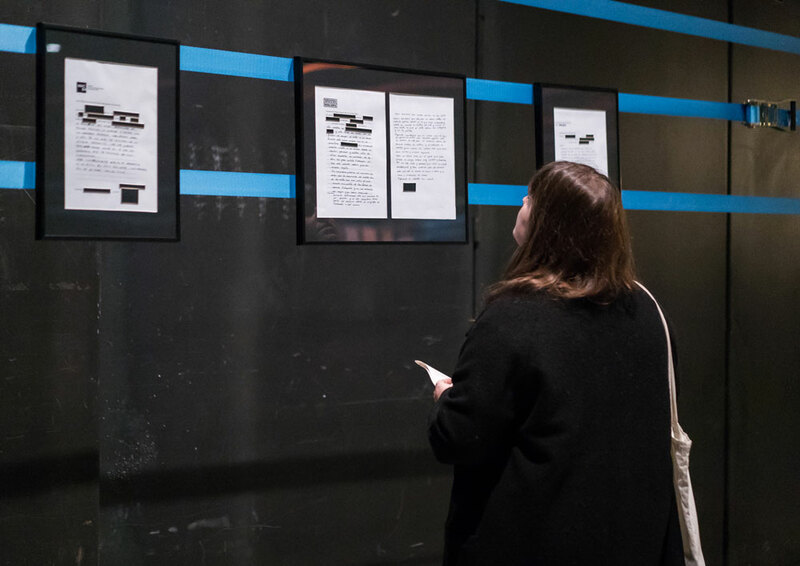 The documents that make up this archive expose the tensions and problems that arise during the mediation processes of cultural institutions. Since educators mediate between visiting members of the public and the institution itself, difficulties may come from either side. 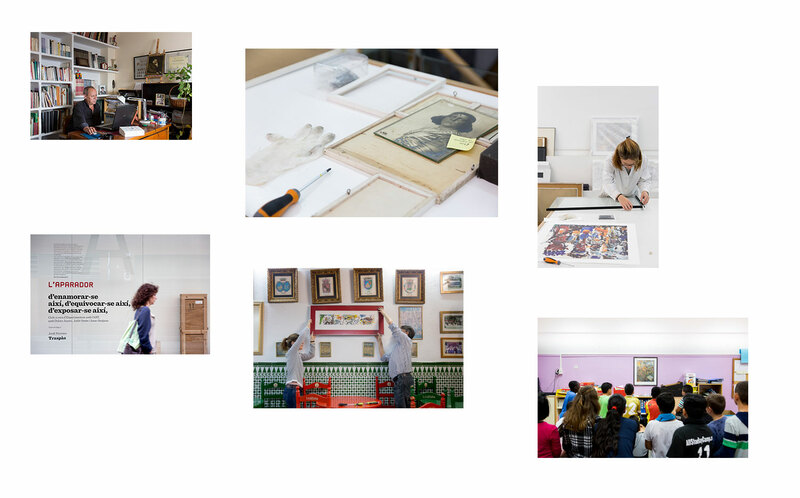 Educators from a number of Spanish cultural institutions were asked to participate in the project, including Reina Sofía, CGAC, Museo del Prado, and finally MACBA, where the artist himself received the complaint that sparked off the project. 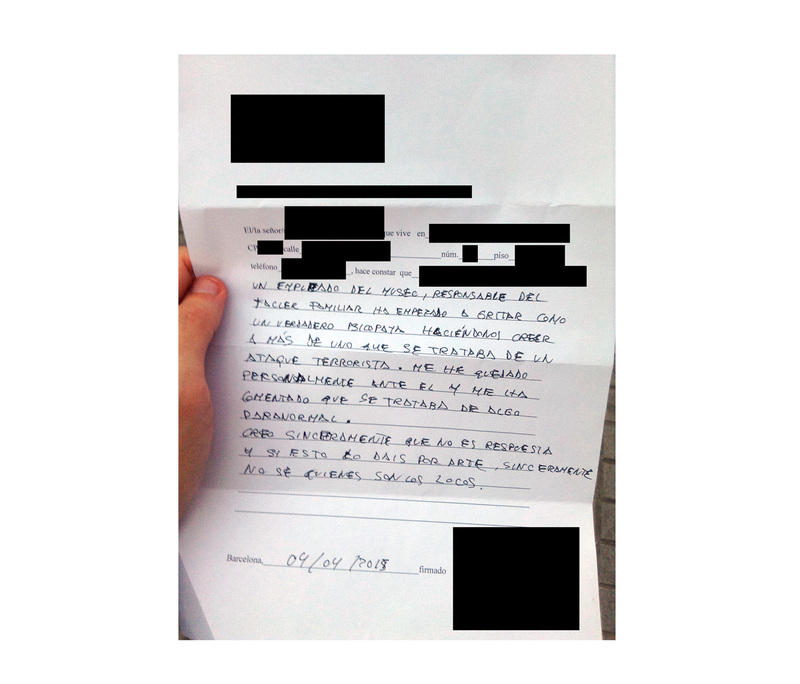 ¿Dónde está la oficina de mediación? What would happen if the mediation department of a museum was in the exhibition space, in direct contact with the public and the exhibitions? 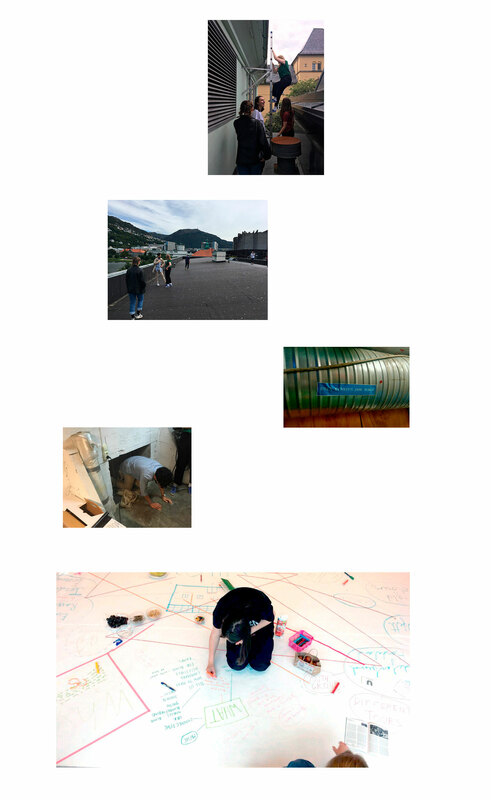 The objective of this project is to change preconceived ideas: What is an exhibition and what is a mediation programme? Who is the artist and who are the visitors? The idea is to reformulate these roles by moving the office furnishings to the exhibition space, thus converting them into elements of an artistic installation. Can an educational programme be an artistic project? Can a work of art be an educational device? 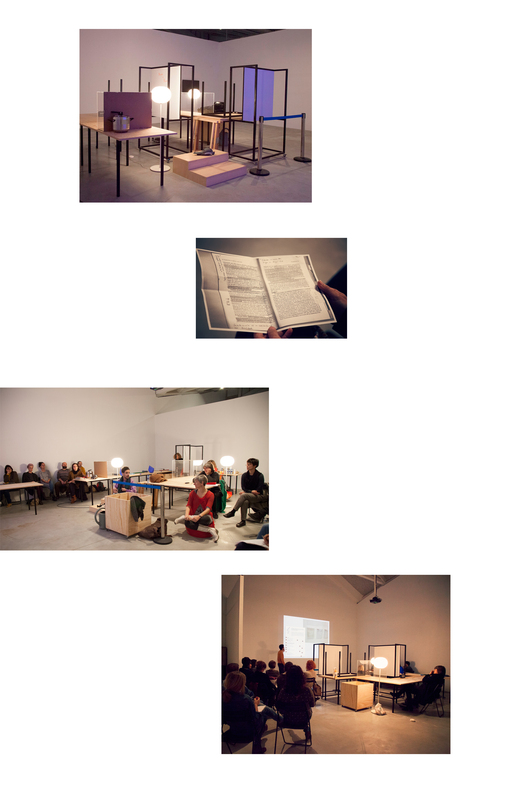 Does the work of an artist have a pedagogical component? Should educational programmes be at the service of exhibitions? Should departments of public programmes or exhibitions work in spaces where they aren’t in contact with the public or the exhibition? 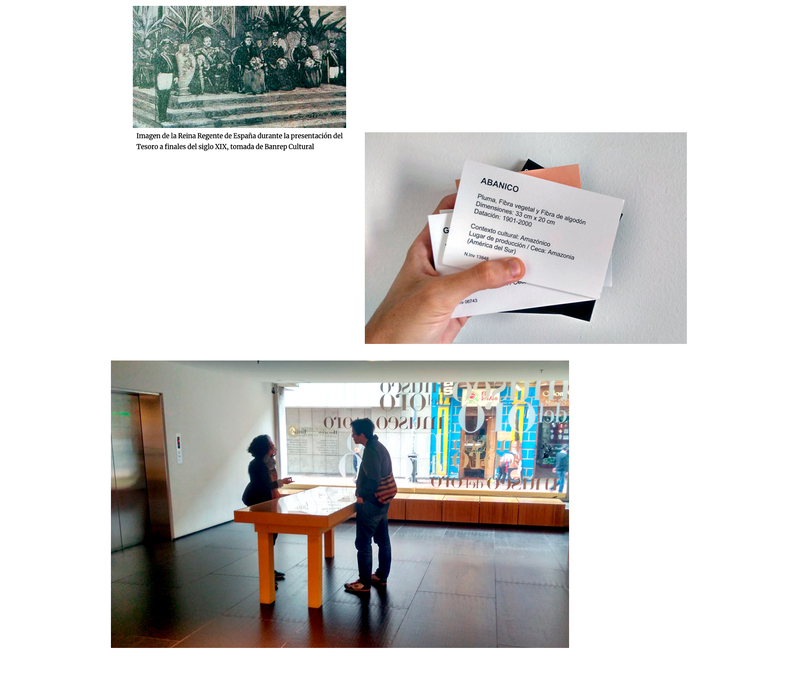 These questions make it possible to explore the categories that the educational, the artistic, and the curatorial acquire in cultural institutions. They enable us to reflect on the privileges and power relations that some exert over others, and create interferences in search of new perspectives.